A deep garnet core with deep brick rim. The nose is just fantastic, just soars from the glass with brilliant delineation and freshness; black olives, blackberry leaf, blueberry and a touch of iodine. At this stage it has slightly more breeding than the La Mission, although that wine has more immediacy. The palate is awesome: full-bodied, more structure than La Mission, nigh on perfect balance and tension. 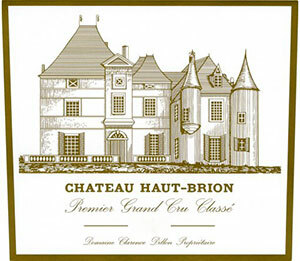 There is a natural quality to this wine, a beguiling sense of harmony that will ensure that this will become the best Haut Brion since the 1989 (on par with the criminally overlooked 1990.) The finish has a gorgeous suppleness to it: notes of blackberry, cherry liqueur, black olives and a touch of oyster shell. Very long in length. Awesome. Tasted March 2008.